PLAY AND PROSPECT GENERATION for exploration and exploitation acreage worldwide. We develop exploration/exploitation strategy and manage the geological and geophysical technical evaluation program. RESERVOIR DESCRIPTION in support of detailed reservoir characterization and reservoir engineering studies. We provide core description and interpretation, stratigraphic analysis of log and core data, petrophysical log analysis, petrographic analysis (reservoir facies and diagenesis studies), and computer mapping of reservoir geology. STRATIGRAPHIC ANALYSES of depositional systems for development of predictive facies models for exploration programs and field enhancement. Services include sequence stratigraphic analysis and correlation, and outcrop studies (facies distribution and reservoir analog studies). 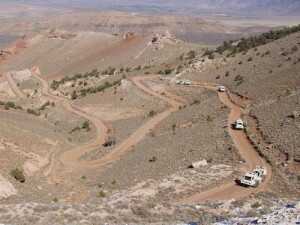 OPERATIONS GEOLOGY providing design, management, and supervision of all wellsite drilling and evaluation programs.